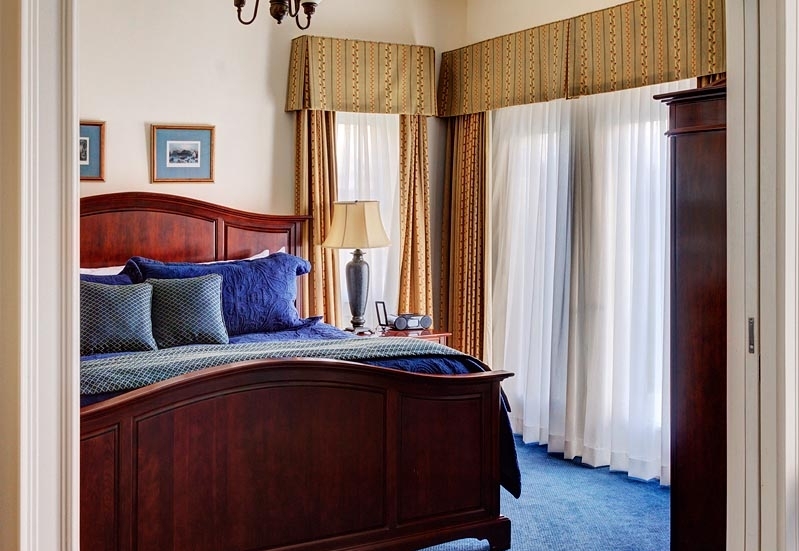 These luxurious accommodations include a very comfortable King Bed and separate sitting area. 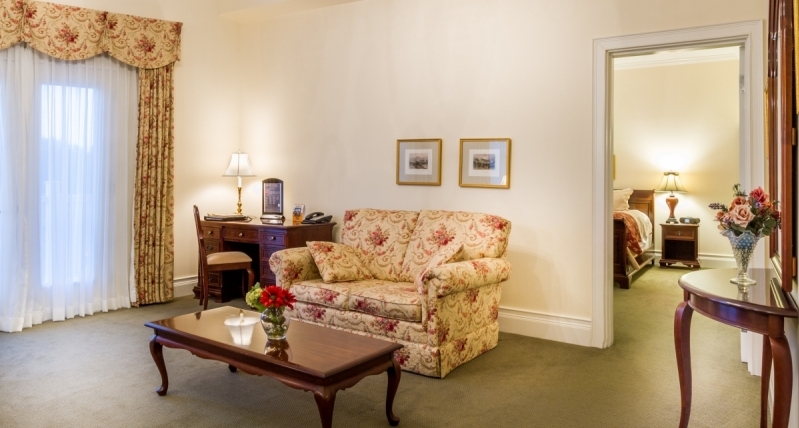 Each King Suite is individually appointed with unique features including a cozy love seat that is elegantly appointed with the electric fireplace. There is a work area for your convenience and two televisions to enjoy. 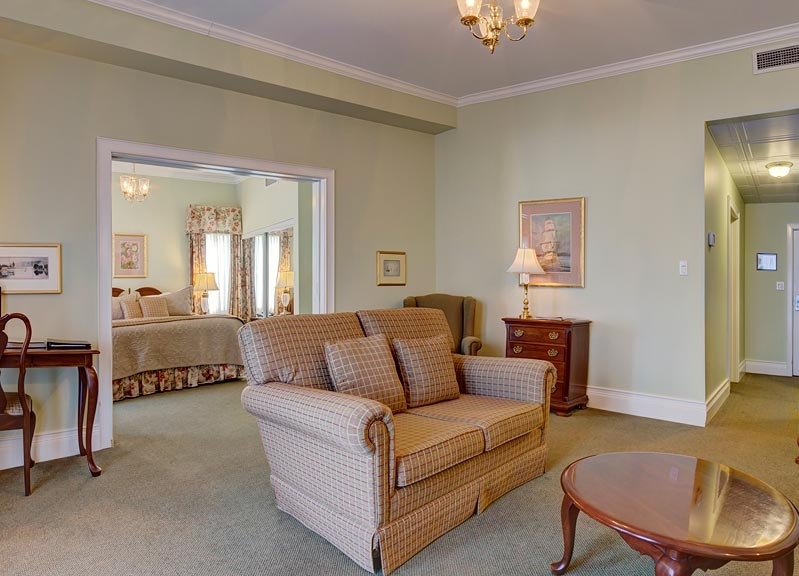 These suites offer the ideal comfort for your visit to the County, especially for longer stays and special getaways.